The TriLakes Area in Missouri is full of action all year round and offers plenty of water sports activities that always include fishing. Neophyte anglers in the area who want to experience an exciting bass and trout fishing should learn some fishing tips so they can level up their fishing skills. For a beginner who is dreaming to become an awesome angler, you need to learn fishing tips and tricks so you can have a good catch. Bass and trout fishing are some of the most popular fishing activities in North America. 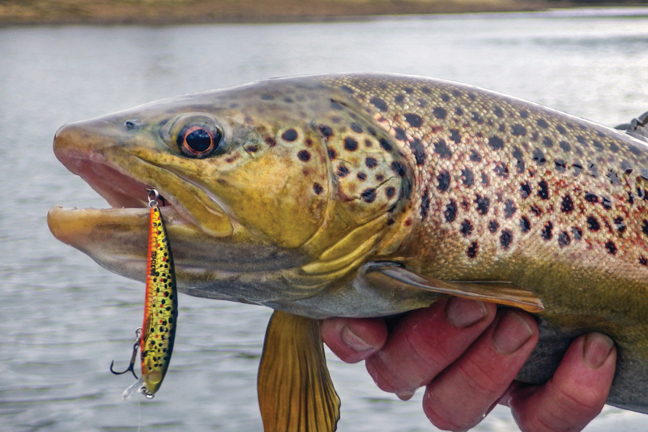 Trout is abundant in Missouri lakes and it is pretty tasty when anglers decide to keep them. Cold water tributaries in many parts of the country are some of the best places to find trout of any size, species, or color. There are three kinds of trout and they all have somewhat similar characteristics. The most common variations are Rainbow, Brook, and Brown. There is also the wildcard steelhead, which is classified as a rainbow trout. This kind of fish spends time in the ocean or great lakes before returning to freshwater or smaller tributaries to spawn. As this fish returns to freshwater, it gains a silvery tint. Trout are abundant in cold water, and often found in moving waters as they run up and down rivers and creeks. Trout also live in lakes and they are of course among one of the more commonly stocked game species, where they can be angled out in streams, ponds, and anywhere in between. Trout are also abundant in the deep waters in some of the great lakes, where they can grow to massive size and put up fights usually happened in the ocean. These trout can be found feeding on smaller fish in the depths of the lake, or during the salmon spawn, raiding their beds. To find trout where they are is simple and easy, it’s just a week or two after a stock, it’s a great time to try your hand. Since rainbow trout grow to about 12 inches, it’s safe to use ultralight tackle. You need to use a standard trout fishing rig that would include a spinning reel, 4-8 lb test fluorocarbon line and a light or ultralight action rod. When fishing trout, you need to remember two big rules – 1. Powerbait will only work on stocked trout, and 2. Most trout over a foot-long cut flies and insects out of their diet. These won’t break the bite, but they will affect the type of trout you hook into. Here are the trout fishing tips that will let you learn about trout and how to become a better trout angler. Whether you’re a neophyte angler or even if you’ve been fishing for a long time, the tips that you will learn here will be useful to you. You’ll be able to start off by learning some basic information about trout, giving you some insight on why they do what they do. You get some knowledge on record trout catches, facts about trout and additional resources to continue your research on trout. When fishing for trout, you need to know the current. If you understand how a river or stream is shaped by moving water you’ll be able to find trout very easily. Deep waters created by the current can hold a big trout, but you can also find smaller trout. The large trout will most likely be in these waters during dawn and dusk. Choose lure that are right for trout fishing. Using the wrong type could make you miss out on opportunities. For optimal performance, the Panther Martin Spinning Lures are recommended. Power Bait only Works on Stocked Trout. If you’re fishing for trout with powerbait then you better make sure the trout in that body of water were stocked (farm raised) and not native. Native trout will not bite on powerbait, the only reason stocked trout will is because they are fed pellets in the hatchery and will eat anything that resembles or smells like the pellets. Use the best live bait. Hands down night crawlers are an effective live bait for catching trout, along with minnows and crayfish. A neat trick is to take a look at what lives on the shore of where you’re fishing for trout and see what might be native to their lunch or dinner menu. Trout, especially lake trout love to bite on a small silver spoon. The best way to use this to your advantage is to buy a lure that mimics a spoon. The top choice is the Kastaway Trophy Spoon. Another good idea when fishing for trout is to use Buzzbait. If you follow any of the major bass tournaments then you’ll know that many pros use buzzbait lures. The secret to its success is that it creates a loud buzzing noise that attracts bass from faraway distances. With the bass fishing tips, you’ll learn everything you need to know about bass and bass fishing. Here, you don’t just learn tips, you’ll be educated about bass so you not only know what they do but why they do it. It doesn’t matter if you’re a neophyte angler or an expert, you’ll benefit from the tips on fishing for bass in this section. First, you will learn about the basics of bass, largemouth to be exact. Then you’ll review some of the best bass fishing tips, followed by a list of largemouth bass all-time world records. 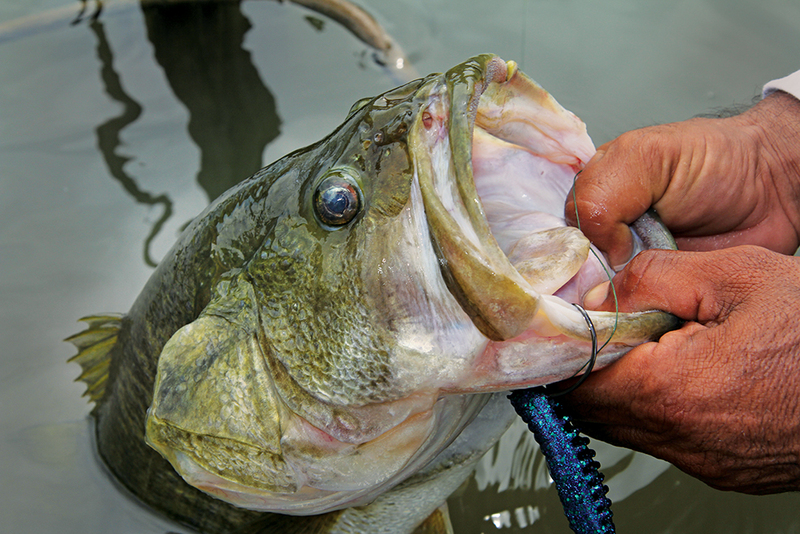 Here are some of the best tips to help you when fishing for largemouth bass. You need to know the habits of bass. The type of weather dictates where bass may or may not be. When the sun is out and shining bright bass will look for shelter. When it’s cloudy, there is little or no sun bass come out from their shelter. This means when it’s sunny, you’ll want to fish near areas where bass might go for shelter, so keep your lure or live bait close to possible areas that bass might use for shelter. In the following paragraphs, you will learn more bass fishing tips. Fish for bass at the right time of day. The best time for bass fishing is the first few early hours of the morning or the last few hours going into the evening. Bass will feed during the afternoon time if it happens to be a cloudy day or if the water is muddy. It’s advisable that you try to get to your favorite fishing hole about an hour before sunup or an hour before sunset. Examine a caught bass for local tips. The next time you catch a bass take a peek inside of its mouth. When a bass is fighting you it will sometimes throw up whatever contents are in its stomach. This is a great way to see what bass are feeding on in the local area and try to mimic the look with a lure that can mimic it. In some cases if you like to use live bait you can try and catch what they’re actually feeding on and use that as bait. Always keep an eye on the line. Every so often it’s a good idea to examine the line right above the lure you’re using. It’s common for it to get frayed due to it coming into contact with rocks, branches, gravel, stumps, etc. Nothing is worse than losing a monster bass due to your line breaking. So, if you are dreaming to become an awesome angler, you need to learn these bass and trout fishing tips.